Advent is the season of preparation for the celebration of Christmas. Here at Central we are continuing our regular Advent Wednesday lunchtime talks this year, this time following the overall theme of What do the Wesleys have to say to us today? Light lunches are available from 11.45, with the talks themselves starting at 12.45. On Wednesday, 3rd December Revd Leslie Newton (superintendent minister in the York Methodist circuit) opens on the theme of Charles Wesley’s missionary activity in America. 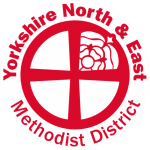 On Wednesday, 10th December Revd Canon Peter Moger (Precentor of York Minster) will speak on “And show thy real presence here”: the Eucharistic theology of Charles Wesley. On Wednesday, 17th December our own minister Revd Christopher Humble will round up the series on the theme Any other business? The Methodist church we know today grew out of the ministry of John and Charles Wesley in the eighteenth century: you’d be most welcome to come along and join us as we explore their relevance for the 21st century church.